The junonia is named after Juno, the Roman version of Hera, the Greek goddess of marriage and childbirth. Juno was the sister and the wife of Jupiter whose many love affairs made her jealous and spiteful. Usually she was portrayed as a lady of stately beauty, with her name bestowed on members of the plant and animal kingdoms, including a flower and a butterfly. 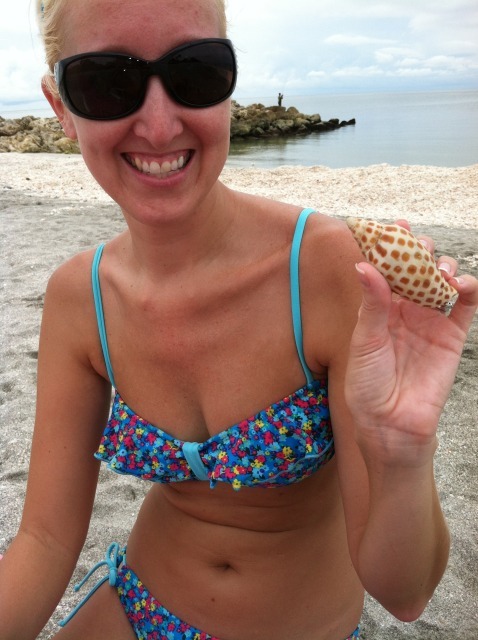 The shell is still very hard to find naturally cast up on beaches, so people who find a junonia while shelling on Sanibel Island, Florida, often get their picture in the local newspapers.